Many guitarists enjoy experimenting in non-standard tunings. This set of 3 songs are designed to get your feet wet in G tuning (DGDGBD). 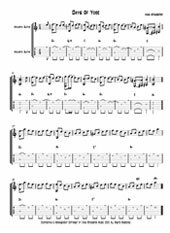 Have some non-threatening fun with a Spanish waltz, a Chet Atkins style piece and a little more syncopated latin arrangement.